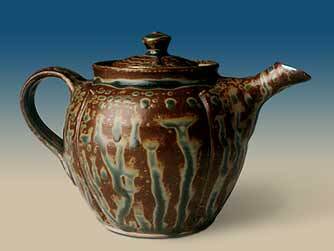 Ash glazed teapot. - 6" (152 mm) high. Twice fired, gas kiln, reduction, wood ash glaze.